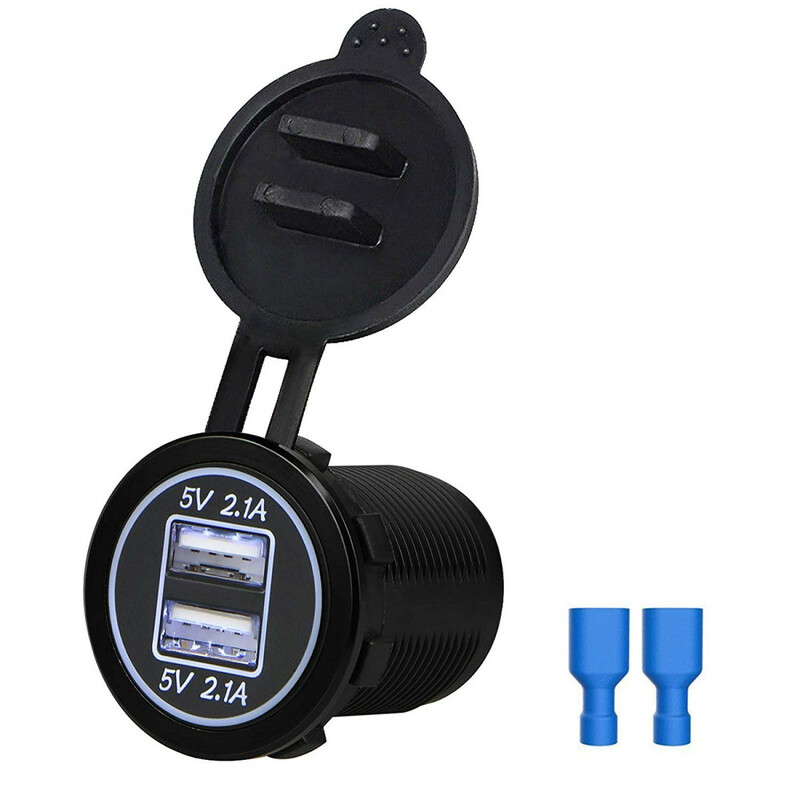 Waterproof Dual USB Port Charger Socket Outlet - This 12v usb outlet is built-in dual USB charging ports, two ports output: 5V/2.1A&2.1A (total 4.2A), that's enough to charge two devices simultaneously! IP65 waterproof grade allows the charger socket power outlet to do a good job under bad weather. 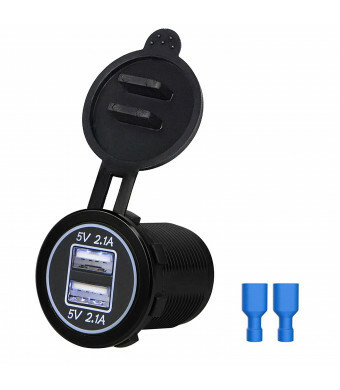 LED Indicator Light - With white LED Indicator, when you charge your devices on your car or boat, the bright light on the 12v dual outlet socket will help you to find it easily in the dark. Overcharge Protection - Over-heated, over-current, over-charging protection; This dual usb charger power socket will stop charge automatically when your device is fully charged. Wide Compatibility - Universal usb charger socket power outlet fit for most 12-24V Car Motorcycle ATV UTV RV Vehicles Marine Boat. Charge for Samsung Galaxy Note 8/5/4/3/2, for Samsung Galaxy S9/S9 Plus/S8/S8 Plus/S7/S7 Edg, for Samsung Galaxy S3/S4/S5/S6 Active/ON5, for iPhone X/8/8 Plus7/7 Plus/6/6 Plus/6S/6S Plus/, for LG G7/G6/G5/G4/G3/G2/V10/V20/V30/G Stylo LS770, for Google Nexus 6/5/4/5X/6P and more. Package Included- 1 x USB Power Outlet Socket; 2 x Terminals; Easy to contact customer service.